Deciding which career path to pursue can be a tough choice because it can dictate how your future unrolls. Technology continues to change the job market and the future employment landscape, so it’s important to try and predict which careers will continue on a path of growth. While science, technology, engineering and math (STEM) careers are exploding in growth right now, there are also plenty of profitable non-STEM paths to pursue. Read on to learn more about some of the highest paying, fastest growing jobs in America, and how you can prepare for a career in each field. If you’re interested in preventing cyber attacks and keeping data secure on a large scale, a career as an information security engineer might be right for you. In their day-to- day work, an information security engineer plans and implements security measures to protect a business’ computer systems and networks. As cyber attacks become more complex and prevalent, the duties of this job will continue to evolve. As an information security engineer, you can expect to work in an office environment for companies that need to protect their data, like computer companies, financial firms, e-commerce businesses and consulting firms. Typically, a bachelor’s degree in a computer-related field is required. As of May 2017, the median annual wage for an information security engineer was $117,558. The field is expected to grow by 56 percent in the next ten years, which is an extremely high rate of growth compared to other careers. Hackers and information breaches are on the rise, so the demand for professionals in this career will continue to expand. Software architects create and build computer programs from the ground up. If you have an interest in developing applications, programs or operating systems, this is a great path to pursue. The need for innovative and cutting-edge software architects is on the rise as more and more of our daily lives center around computers. As a software architect, you can expect to work for a company that specializes in computer systems design and similar services, or for a software publishing firm. Increasingly, however, companies are looking to develop applications of their own, so the scope of this job is likely to change in the coming years. A bachelor’s degree in a computer-related field is required, and a strong knowledge of computer programming is recommended. As of May 2017, the median annual wage for a software architect was $134,515. The field is expected to grow around 17 percent in the next decade, as the need for creative software solutions increases. Data engineering jobs are an important part of any company that handles a lot of data. Data engineers look for trends in data sets and work to develop algorithms and databases that make data more useful to the company they work for. 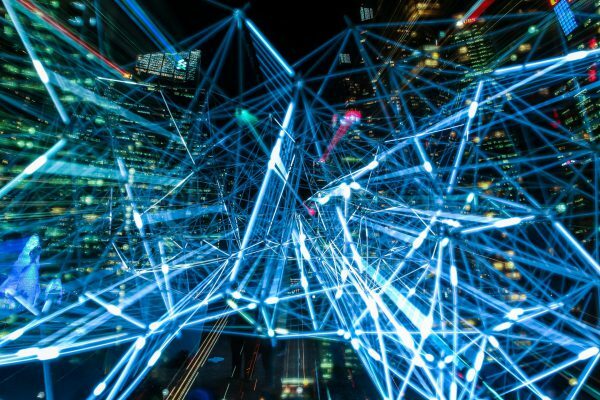 Raw data isn’t useful if there isn’t a way to store and interpret it, so if this sounds interesting to you, a job as a data engineer could be your calling. A data engineer needs a solid knowledge of SQL for database design, and knowing multiple programming languages can be necessary (Python, C/C++, Perl, Java and similar languages are particularly helpful). A bachelor’s degree in computer science or information technology is also usually required. There are certificates from IBM, Google and other tech companies that can be helpful as well, and can increase your chances of landing a high-paying position. Data engineers can expect to make around $151,307 a year. Over the next ten years, this field is expected to grow by 11 percent. Nurses usually work in a doctor’s office or a hospital setting, providing and coordinating care for their patients. They can also visit and work with patients in their own homes or in nursing homes. If you love working with people, are looking for a promising career in the healthcare field and want a job that keeps you on your feet, a registered nurse might be the path to take. As people live longer, and a large chunk of the U.S. population ages, the demand for nurses has started to grow dramatically. In fact, nursing jobs are expected to increase 15 percent in the next ten years. With conditions like diabetes and obesity are on the rise, and with patients beginning to seek more preventative care, nurses will continue to enjoy a favorable occupational outlook. In May 2017, the median annual wage for a registered nurse was around $70,000. Financial managers are responsible for the financial health and growth of a business or organization. Typical duties include producing financial reports, strategizing investments and creating plans to help companies reach their long-term financial goals. Banks, insurance companies and other large organizations all need financial managers, so if you’re interested in working in one of these settings, this is a great career choice. Financial managers usually obtain bachelor’s degrees and tend to work in a field like accounting or auditing, or as a financial analyst for a few years before becoming a financial manager. This field is expected to grow by 19 percent in the next ten years and, as of May 2017, financial managers usually make around $125,080. They will continue to be in high demand as the economy grows. Before choosing your career path, it’s smart to learn more about how the job field will be growing and changing in the coming years. Think about what you’re passionate about, and what you wouldn’t mind doing for your next few decades of employment, and see if that aligns with any of the career paths that are currently on the rise. 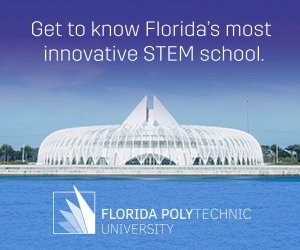 STEM has a great outlook, so pursuing a career in this area can be a sound decision. However, there are plenty of other rewarding, high-paying and stable paths to take. Paying attention in math class will earn you free Wifi at one restaurant.